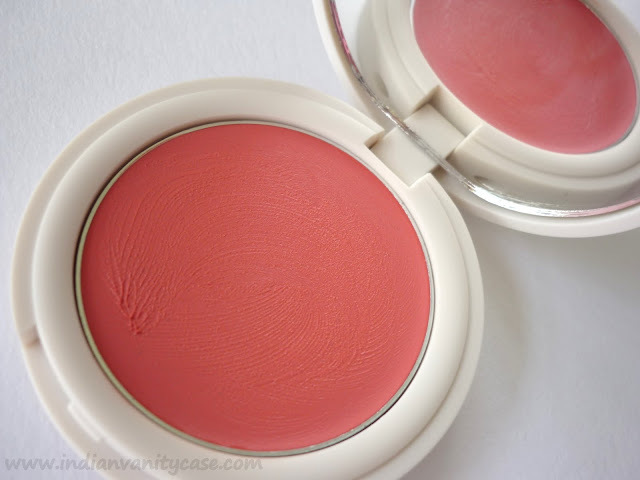 Indian Vanity Case: Topshop Neon Rose Cream Blush ~ J'adore! Topshop Neon Rose Cream Blush ~ J'adore! 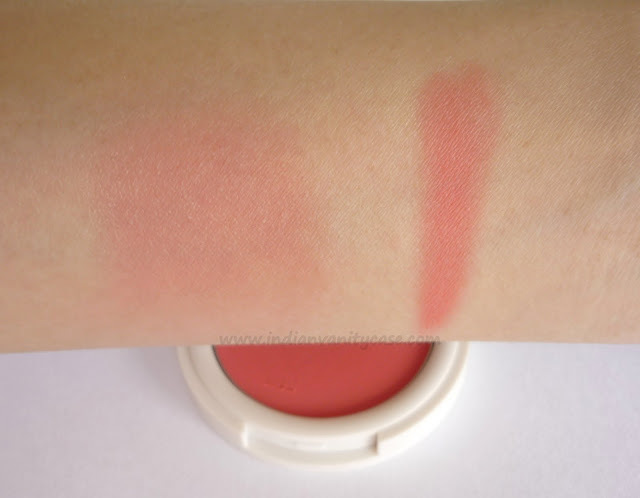 Topshop Cream Blush in Neon Rose is one of the prettiest blush shades I've seen. It looks completely coral, but it actually has a lot of pink in it, which is what I love about it. It's a really unique color. It's gives me exaggerated rosy cheeks, but when toned down, it looks like a crush-flush- the kind you get when you see your crush. Because it's a neon color, I couldn't increase the brightness of photos without altering the color, so I didn't. Remember the Colorbar Autumn Rose Nail Polish? (post here) Well, this is almost like that. Texture ~ It's non-sticky, creamy, super smooth & easy to blend. It feels powdery as soon as you start to blend it. Just look at that color! It's so pweety, isn't it? I'm in love with this one. It's inexpensive too, so win-win. Packaging ~ I don't love, but I still think it's cute- the same way I feel about Dalmations. Rating ~ ♥♥♥♥♥ 5/5. 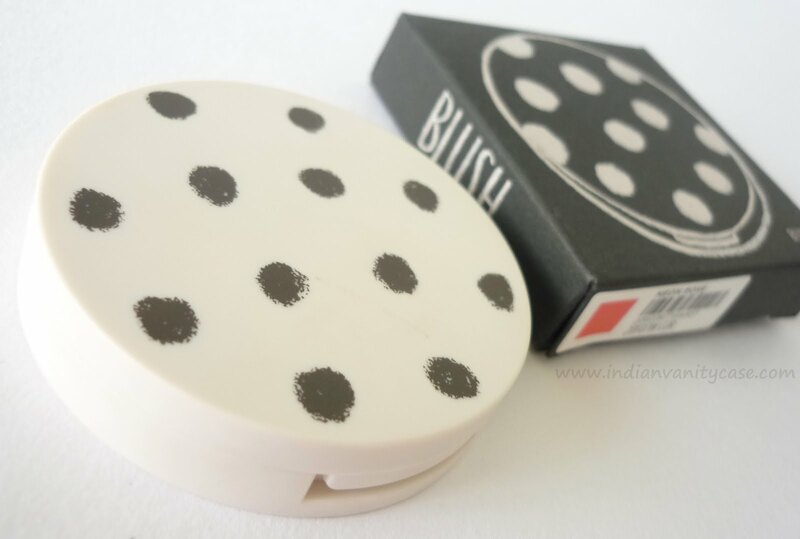 I highly recommend this blush. Super cute. 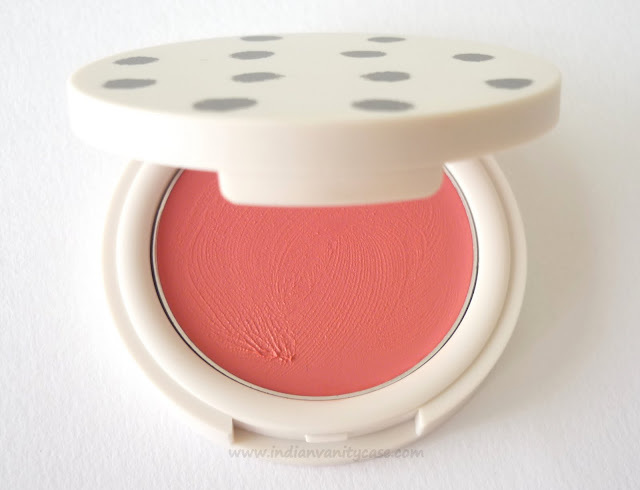 I love the color, its just the perfect, wearable coral pink cream blush. I love the packaging. The dalmations are so cute ;) And really this is the prettiest coral-ly pink! What a gorgeous color Cynthia! I want !! I just find myself reaching for this one almost everyday!you are so right on your review doll! !amazing colour ,non sticky and gives you the suntouched face effect!!! Hanging around your crush should be a good substitute then :D, that is definitely a very pretty color. I like the color and the price, but I have too many shades that are like this. ; w ; I really want a true coral with no pink blush. I have to do it before the summer ends I just have to! Wow, gorgeous! Wish we had Topshop here! Such a beautiful color and equally great price ! Great color! You're right that it has coral with a bit of pink in it! Wish I could get my hands on this!! !